Remember those LEGO Teenage Mutant Ninja Turtles movie sets we saw at Toy Fair 2014 but weren't allowed to photograph? Two of them have finally rolled online at Canadian retailer Indigo. Hit the jump to see the Big Rig Snow Getaway and Turtle Van Takedown sets, along with their official product descriptions which may contain spoiler-ish information about the movie's plot. Not pictured here is the line's third -- and largest -- set, Turtle Lair Invasion. At Toy Fair 2014, the Turtle Lair Invasion set looked much like an expanded (maybe 33 percent larger?) 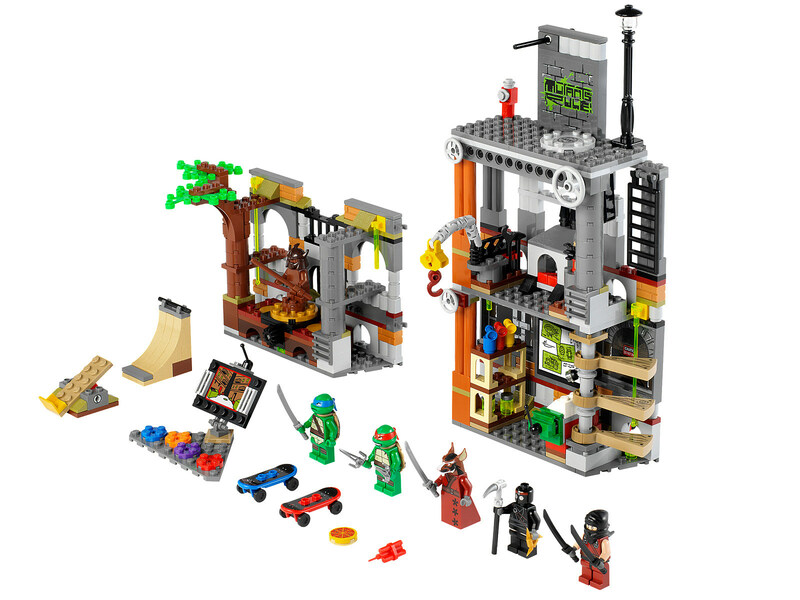 version of the existing Turtle Lair Attack set based on Nickelodeon's CG animated TMNT series and included a Shredder Minifig that wasn’t too much of a departure from the character’s Nick look. We'll update this post once it finds its way online. These sets should arrive in stores in June/July ahead of the film's August 8, 2014 release date. Update: ComicsAlliance has been asked to remove the images and product descriptions since Indigo's listings were an unintentional leak. As soon as officially released hi-res images surface, we'll have them back on the site.